Fire up your colour and let your vibrancy re-ignite with Herbal Essences Ignite My Colour shampoo. This nature inspired formula has a fusion of Moroccan rose nectar. Did you know that roses were used in Egypt as offerings to the goddess Isis, the matron of nature? 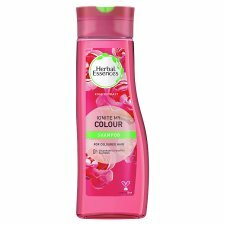 For better results use with Herbal Essences Ignite My Colour Conditioner. Simply apply shampoo generously to wet hair, massage into a creamy lather, enjoy the scent, and rinse. For more beautiful hair, use with Herbal Essences Ignite My Colour Conditioner.